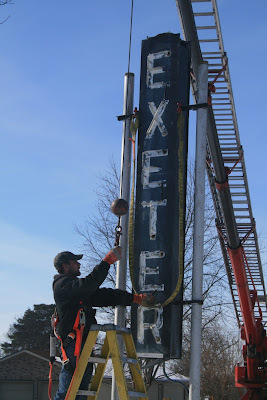 The Exeter neon sign was removed from its current post on Thursday morning. 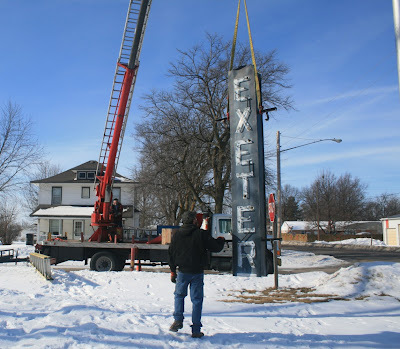 Nebraska Neon Sign company lifted it off its posts to transport it to Lincoln where it while hopefully be revived to serve to welcome Exeter visitors and residents for another 80 years. The Exeter Community Foundation has pledged to sponsor this rennovation including repairs and replacement for both the backing letters and the neon tubes.